Barr (above) has argued “a president cannot obstruct justice when carrying out his normal constitutional responsibilities, such as hiring and firing officials and directing federal law enforcement operations.” Photo from The New York Times. The nomination of William Barr to be the next attorney general has raised controversy because of his previously expressed strong views about the Mueller investigation. In fact, some have suggested that the 19-page memo Barr wrote and sent to the Justice Department last June in defense of Donald Trump was, in fact, a job application. Therefore, he should be disqualified on the basis of an apparent conflict-of-interest with an ongoing criminal and national security investigation. Based on this argument, Barr, who was George H. W. Bush’s attorney general and now the soon-to-be reincarnated attorney general, might argue that in whacking someone on Fifth Avenue in broad daylight and in sight of thousands of harried Manhattan witnesses, Trump did such an act while performing his normal constitutional responsibilities. Note: some evangelical pastors like Jerry Falwell Jr. might add that he was only doing his job while performing the terrestrial duties God almighty directed him to fulfill. 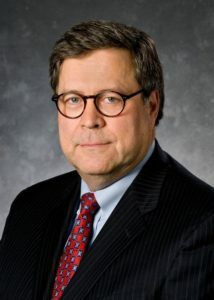 The most significant single act of Barr’s career in the Department of Justice was to advise President George H.W. Bush to pardon six officials from Ronald Reagan’s administration, including Secretary of Defense Caspar Weinberger, for crimes associated with the Iran-Contra affair. At the time, Barr was — you guessed it — attorney general. His recommendation gave Bush the cover he needed to issue the pardons. And Bush needed the cover. The investigation led by independent prosecutor Lawrence Walsh was closing in on the president himself. Walsh had demanded that Bush turn over a campaign diary that he kept in 1986. Bush failed to do so, presumably because the diary showed he knew more about Iran-Contra than he had let on. Walsh publicly condemned Bush’s failure to produce the diary as “misconduct” by the sitting president. Issuing the pardons killed Walsh’s investigation — and saved Bush. When the targets of the investigation were off the hook, Walsh had no leverage to continue. Don’t take my word for it. When the pardons came, Walsh went on ABC’s “Nightline” and said that Bush had “succeeded in a sort of Saturday Night Massacre.” The comparison was intended. Walsh was saying that Bush had saved himself by effectively ending an investigation that was leading to the Oval Office — the aim that Nixon failed to accomplish when he fired Watergate special prosecutor Archibald Cox. For those too young to remember, the pardons crafted by Barr and executed by President George H. W. Bush on Christmas Eve 1992 involved the actions of Casper Weinberger, secretary of defense under Ronald Reagan, and other administration officials. If the special counsel’s investigation had gone longer, some believe, it might have uncovered the role Bush is thought to have played in Iran-Contra, and also in the so-called October Surprise of 1980, which some researchers believe was the precursor for the Iran-Contra Affair itself. We can only hope that at least one senator might have the temerity to ask William Barr, the presumptive as well as past attorney general, what he knows about the lingering allegations that in October 1980, Bush, a former CIA Director and Ronald Reagan’s vice presidential running mate, supposedly made a secret late night flight to Paris to meet with Iranian representatives about the American embassy hostages that were being held captive. Those allegations and other reporting formed the basis for a public television documentary, books, articles, along with a congressional investigation about some evidence that pointed to collusion by the Reagan campaign to delay the release of the hostages in return for American arms. These allegations were driven in part by the actions of the Iranians, who started to release the hostages at the time Reagan was sworn in on January 20, 1981. Israeli arms shipments to Iran started soon after and became visible years later, with the Iran-Contra imbroglio. 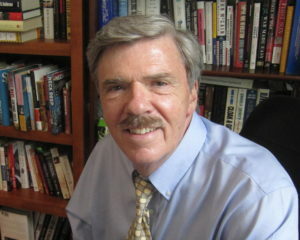 Unfortunately, Robert Parry died in 2018 at the age of 68. However the body of his work on the mysterious 1980 October Surprise can be found on Consortium News, the website he founded after his departure from Newsweek and the AP. 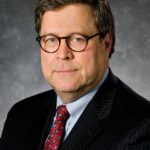 We can only hope that at some point in the presumed tenure of William Barr, some fearless member of Congress will, at long last, grill him in an attempt to get at the truth behind his zeal in crafting pardons for some of the players in the Iran-Contra Affair, including his then-boss, George Herbert Walker Bush, who most recently was the subject of glowing accolades at the time of his passing. Since we have only found out in the last few years about the extent of Richard Nixon’s treason in the 1968 October Surprise, all of those who might have been involved in a possible cover-up and collusion with a foreign government need to be identified, including the late President Bush. The American people need to know what happened in 1980, just like they need aboutnow what happened in 2016. Lawrence Walsh may have been right in suspecting that the pardons crafted by then-Attorney General William Barr thwarted an investigation that could have revealed much more abut the October Surprise and Iran-Contra. William Barr, the presumptive attorney general, needs to tell us about his role in pardoning those responsible for Iran-Contra. Along the way, we need to find out, through our congressional representatives, whether special prosecutor Walsh was correct in suspecting other higher-ups, including those who later served as Director of the CIA and President of the United States, in possibly rigging another election, this one in 1980. The truth is often inconvenient. We have no choice but to know the facts and the truth, wherever both may lead us. William Barr should expect no less in the questions that need to be asked of him in Congress. The tenacious investigative reporter Robert Parry, if he were still alive, would expect no less. NOTES: Here is one article from the work of Robert Parry that might be of further interest on the 1980 October Surprise and the possible involvement of George H. W. Bush.